Cancer can play havoc with a person’s life. Although it is inevitable in certain circumstances, yet it is extremely important that detection should take place in the early stage so that treatment can be done. Doctors say that the more early the symptoms are detected, the more are the chances of survival and even cure. 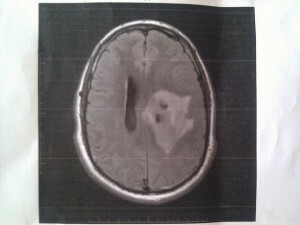 However, it so happens at times that brain tumor exist and keeps on staging without displaying any symptoms which becomes very difficult to detect if there is cancer unless a person goes for medical test or the cancer is detected when it is on the last stage. Although the cancer might not display its existence, yet there are some other changes that take place in a person’s behavior and psychology and they can alter a person’s behavior as well as judgment. The senses might also act incorrectly for example the sense of taste, the sense of touch, etc. The vision might also cause problem and the person might star to feel dizzy and the vision might get blurred. The sense of hearing might also get affected, and also the sense of touch and feeling of the person who is having cancer growth. However, the basic brain tumor symptoms involve the following. These symptoms should be taken seriously if there occurrence is persistent and since a long duration. It is said that one of the major symptom of brain tumor. Unlike other regular kinds of headache, these are different and they start with day and feel worst. As day progress, they become severe and appear like migraine. They are so intense that can also cause disruption when the person is sleeping. The headaches can also end up the patient getting vomits but that makes him feel better. Seizure are also a common symptom of brain tumor and many of the people get to know about their cancer when they experience seizures, a state when a person experience convulsions, usual sensation and unconsciousness. Apart from this, focal seizure might also occur which might include jerking of a muscle of an arm or leg, problems that occur with speech, sensory feelings etc.